The Prague ratter is also known as Pražský krysařík or Prague ratter and is native to the Czech Republic. It is a toy or mini sized dog as, in their adult stage, they do not usually exceed 3.5 kilograms of weight. They are really small. In this AnimalWised breed file we will share all the information related to the Prague ratter with you, including their origin, characteristics, the character they have or the care they need. We will also talk about their education, which is very important if there are children at home, but is also essential to prevent them from crying too much or behaving in a negative way at home. If you are thinking of adopting Prague ratter, don't hesitate to read on to discover their preceding history and some fun facts about them. Prague ratters begins their history in the Middle Ages, in the royal palaces of Central Europe, more specifically in Bohemia (Czech Republic) where they were a very appreciated breed, present even in the aristocratic festivals of the time. Princes, kings and other government officials enjoyed the Prague ratter’s company as a status symbol. Such was the devotion that the then prince Vladislav II had for his dog, that he began to offer them as a present to the Slovak kings and nobles, and also to other members of European courts later on. Other kings who joined the trend were Boleslav II of Poland and Karel IV of the Czech Republic. It soon became such a popular dog that even ordinary citizens enjoyed the Prague ratter as a companion dog. But as with almost everything else, the popularity of the Prague ratter declined in the face of the misery of plagues in Central Europe after the great wars. It is even rejected as a show dog because it is considered "too small". Mysteriously the Prague ratter survived the passage of time and centuries of anonymity until in 1980 and after much pressure from some devotees it was revived. Today we can enjoy this specimen in many parts of the world. As we have explained, the Prague ratter is a toy or mini dog breed, that is to say, it is a very small dog. In their adult stage, the Prague ratter reaches a size of about 20 - 23 centimeters to the cross, along with a weight of between 1.5 and 3.5 kilograms. Their ideal weight, however, is around 2.6 kilograms. There are many people who wonder if the Prague ratter is the same dog as the miniature pinscher or the Chihuahua but the truth is that they are not related to each other. Despite this, the physical characteristics of the 3 are very similar in size and coat. Black and tan is their most characteristic color, but chocolate and black, blue and chocolate, lilac, chocolate, red and merle are also accepted. We’d like to emphasize that they are one of the dogs that lose less hair. The character of the Prague ratter is very lively and active. They will surprise us with their energy and desire to play, full of character and courage. They are very sociable, especially with people, with whom they create powerful bonds of affection. They are also very intelligent dogs that will learn a variety of commands and tricks if we spend enough time with them. If you don't have time for long walks, active play or responsible education, think about adopting another dog breed. Usually, the Prague ratter is a loving and obedient dog, attached to the human being, but they will need the same standards of education as an adult dog. This will define their character in their adult stage so they are social, calm and quiet. This dog is ideal for families with or without children, but in the latter case we must be aware of the importance of educating our children to have a proper relationship with the animal. Their small size and fragility make it prone to broken bones in the face of children's activity and rough play. Keep this in mind to avoid possible injury. A Prague ratter’s care is very basic: for their regular hygiene they will need a monthly bath and protection against parasites (internal and external), we can also brush them with a soft brush. We must offer special protection during the cold weather because it is a dog that usually trembles. A coat for small dogs will suffice. Getting good quality feed will also be important. This will affect their health, their coat and development. Finally, we’d like to highlight the importance of a proper, active walk and the use of toys so that your Prague ratter can actively play and enjoy themselves as they deserve. As they are an active and playful breed, this must be one of the most important requirements you should consider. Find out how many times you have to take your dog for a walk. This dog’s training is not at all different from other breeds, although they have some common peculiarities that appear in small dogs such as barking excessively. To properly educate a Prague ratter you must start the socialization process when they are puppies, right after receiving their vaccinations. This step is very important for your dog to be able to interact with other dogs (and even cats), to be affectionate with people and not to be afraid of vehicles or objects. The more they know about the environment and the living beings that live there, the less fear or aggressiveness problems they will have in the future. When the socialization process is already initiated, we should start the training, always using positive reinforcement. Learning to stay still, coming or sitting down are essential elements for the safety of your dog and will also help you to strengthen your relationship with your dog and to understand each other properly. Spending 10 or 15 minutes a day to repeating learned commands is another of the tasks you have to perform so that your Prague ratter doesn't forget what they have already learned. The Prague ratter is a dog of average longevity, they have a lifespan of between 12 and 14 years of life, but remember that this fact can vary (and very much so!) depending on the care they receive. A good diet, stable health and adequate physical activity will help your dog increase their longevity. The most common health problems that can affect them are broken bones or dislocated kneecaps. Problems may also occur in your dog's puppy stage related to baby teeth. Finally, we’d like to explain that in some cases we can observe that Prague ratters cannot lift their ears. It's a problem that usually solves by itself but we can help them with a simple trick. This breed is not accepted by the FCI. 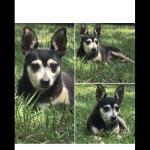 Photo uploaded by Melissa Carroll:This is Liddle Emily, she is a miniature rat terrier. I’m amazed at how much she looks like a Prague Ratter.